The Brisbane City Council has released the draft Newstead North Renewal Strategy which sets out to provide framework for the renewal of Newstead’s northern area. As the southern end of Newstead continues to develop, the northern end remains largely industrial and has yet to see the same amount of growth. 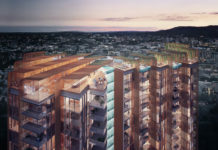 “Newstead North’s strategic location, just three kilometres from the city centre, defines it as one of Brisbane’s most accessible inner-city precincts. It is linked to multiple modes of transport and provides connections that can conveniently take you anywhere in the city. From these connections to the broader road network and access to public transport, Newstead North is well-placed and accessible, which is a benefit to businesses. There are however opportunities to improve the quality of streetscapes to enhance the pedestrian experience for the safety and comfort of the working and living community”. A review of existing building heights was undertaken as part of the renewal strategy. A building heights intent plan has been created to provide early framework for the new neighbourhood plan. The review allows buildings up to eight stories along the northern end of Breakfast Creek Road as well as several light industrial sites along Evelyn, Austin and Maud Street. Buildings of five storeys are intended along Breakfast Creek Road and Ross Street. In 2014, Bunnings proposed a new mixed use retail outlet for 142 – 160 Breakfast Creek Road however despite Council granting approval for the development, the two parties are in a legal stoush over proposed infrastructure charges of the development which Bunning’s claims is unreasonable. As the proposed draft renewal plan now allows the site at 142 – 160 Breakfast Creek Road to reach a maximum of eight levels, the current proposal by Bunnings would be seen by industry as underutilised with a potential for four additional stories allowed above the current Bunning’s proposal. In April, Mercedes Benz proposed a development for an Australian first Autohaus which included a new automotive museum, staff training centre, various shops and cafes, rooftop restaurant, dining and function area as well as a garden pavilion. The proposal is in line with the new local area plan. In order to achieve a vibrant and active environment, access to amenity is not enough. Public spaces, parks and streets must provide a higher level of functionality to promote opportunities for recreational activity. Newstead North has a unique opportunity to improve and diversify the recreational opportunities, to connect key places along shady, attractive and generous streets and to open up the waterfront to the community. This strategy that encompasses a combination of revitalisation projects and their connections, will enhance Newstead North’s role as a city gateway through improved streets and public spaces. The renewal plan proposes to implement streetscape improvement works to Breakfast Creek Road in alignment with its intent and designation as a subtropical boulevard. Improvements to the streetscape are planned to focus on planting that includes both trees and garden beds to create a ‘green’ arrival that is complemented by lighting. In conjunction with streetscape improvements and revitalisation projects, the plan also proposes to implement a series of lighting interventions in alignment with the Brisbane City Centre Master Plan 2014 (CCMP) ‘City of lights’ to create an exciting and attractive night-time arrival experience that is sensitive to heritage values. 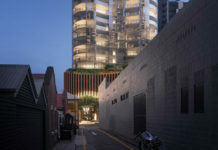 As part of the development from 140-180 Breakfast Creek Road which sits next to the current Bunning’s proposal, the provision for a 750sqm plaza on Breakfast Creek Road will provide an active urban space that has a relationship with the surrounding network of spaces including Newstead Park, Ross Street Park and Breakfast Creek waterfront. It will invite people to stop and enjoy the place rather than journey through. All Brisbane residents can undertake a survey or provide feedback on the plan by visiting the Newstead North Neighbourhood Plan page. So an urban plaza off one of the roads least conducive to pedestrian traffic and will also be on the wrong side of the link from the future KSD pedestrian/cycle path? Not much of a renewal if all you are doing is tweaking building heights and hoping in the future someone comes up with a good idea for an existing park. No major moves to change the structure of the overall area and they are including private open space in their structure map – which from past experience we all know can be closed down and fenced at a moments notice. It is interesting to know what the logic was for restricting the heights further away from the river was. Nothing in the area should be zoned less than four storeys. 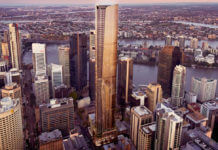 It is good enough for Europe, so why not Brisbane? To their credit, Brisbane City Council does seem to do urban renewal projects rather well. They need to perhaps become more involved around railway stations. Perhaps a designated transit precinct zoning is required in the city plan – many stations could have apartments built above and exempted entirely from car parking requirements. The idea that residential buildings over railway stations do not need car parking is ludicrous and sophomoric. Those residents may well use the train to get to work but they will still have a car to use (less frequently) for other occasions. With no parking it just clogs up the street parking. This no-car-park residential building trend is seriously flawed and should be resisted strongly. If the application of the height limits in the nearby BCC “Newstead and Teneriffe Waterfront Neighbourhood Plan” is any future guide, then this document means nothing. The NTWNP requirements have been routinely ignored by BCC. The whole Newstead area is a complete joke for parking, particularly from Gasworks right down to Newstead House. Sure it’s great to have tree-lined streets, but they also have to be practical when planning these developments. It is very poorly designed so far as parking. The area needs some serious re-thinking as it’s getting worse. Public Transport is not an option for many of the thousands of people that work in the area (BOQ, Energex etc), not to mention the poor people that live in the countless units around Newstead and Teneriffe. It’s a disgrace.